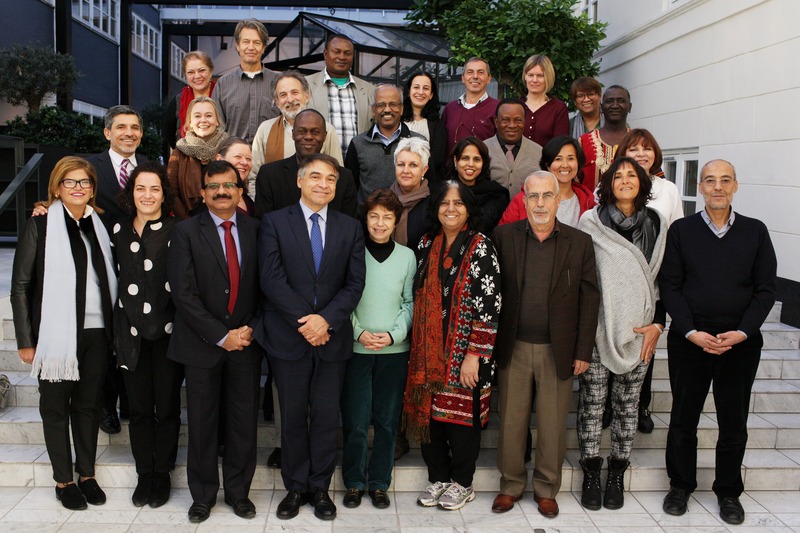 The Council of the IRCT reviewed and refined its 2015-2020 Strategic Plan, shaping the work of the movement for the period 2018-2020, while welcoming 12 new centres to the now 160-member strong network. Over the course of two days, the IRCT’s Council, consisting of 26 member centres and three independent experts, discussed the current priorities of the torture rehabilitation movement and unanimously adopted the enhanced strategy. “Survivors are at the heart of this strategy. Everything we do must be to support life after torture,” said Jorge Aroche, President of the IRCT. “This movement comes together to take collective action to ensure the victim’s right to rehabilitation. The enhanced strategy recognises this and further ensures that our work is effective and implemented in a way that is consistent with human rights values and the highest ethical standards.” The IRCT is further determined to make the torture rehabilitation sector financially sustainable and able to transmit high quality knowledge on rehabilitation while ensuring that the movement is well governed. The Council reaffirmed the strong commitment to fighting for a world without torture and demanded that States comply with obligations to prevent and prosecute torture, provide reparations to victims, and increase funding to make the right to rehabilitation a reality. maintain a well-run and well-structured organisation focusing on reviewing governance structures and improving communication of results. The Council also identified priority areas within the roadmap provided by the enhanced strategy. These areas include, among others, (i) the establishment of a draft research agenda for the torture rehabilitation sector, (ii) the development of IRCT’s policy on gender and torture rehabilitation and (iii) the creation of sector-wide standards. Additionally, the Council initiated decision-making processes toward the realisation of the VI General Assembly and XI Scientific Symposium, which will be held in early 2020. The meeting was closed on Friday 1 December with the presence of IRCT Founder Inge Genefke, who delivered a message of solidarity and respect that evoked the work of the many persons who, over the last four decades, have built the global rehabilitation movement. As a membership organisation, the IRCT is governed by its members. When it comes to developing the organisation’s strategic plan, the IRCT follows a process of deliberation and decision-making via the IRCT Council, which consists of 26 representatives from the membership and three independent experts. The IRCT Council is elected by the IRCT membership through the General Assembly. The Secretary-General is accountable to the IRCT Executive Committee, which consists of eight members of the Council (one from each region) and one independent expert. The Executive Committee of the IRCT mandated the Secretariat to evaluate the strategic plan mid-way through its implementation. The Secretariat’s internal review took place between July and September 2017. The process was comprised of analyses of previous external reviews and interviews with secretariat staff, donors, and Council members, as well as a complementary survey disseminated to the membership at-large. The internal review highlighted the need to shift the emphasis from a methods-oriented strategy, focussing on advocacy, capacity building, research and governance to a result-oriented strategy, delivering tangible outcomes in the fight against torture.